Join L Boutique Studio and Laura J Studios for Rocking for the USA- rock band and fashion show with Stronger Than the Story. 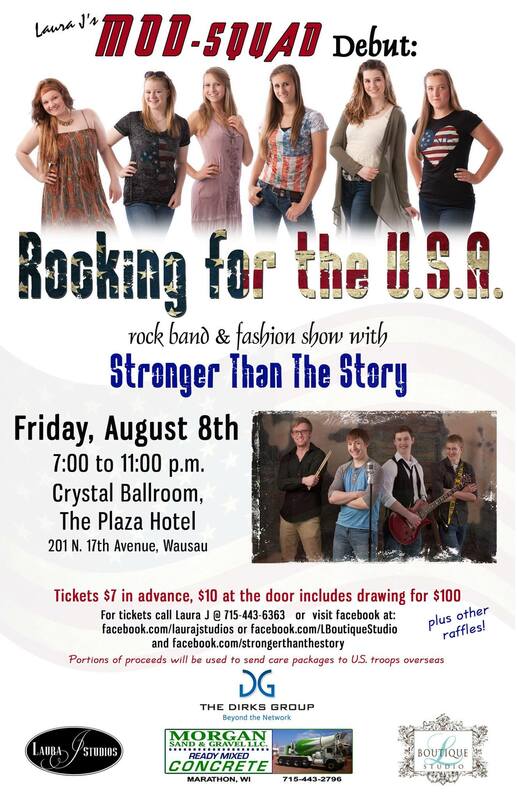 Friday, August 8th from 7-11pm in the Crystal Ballroom of the Plaza Hotel (201 N 17th Ave, Wausau). Wind down the summer with a last big hurrah with your friends at this ALL AGE EVENT! 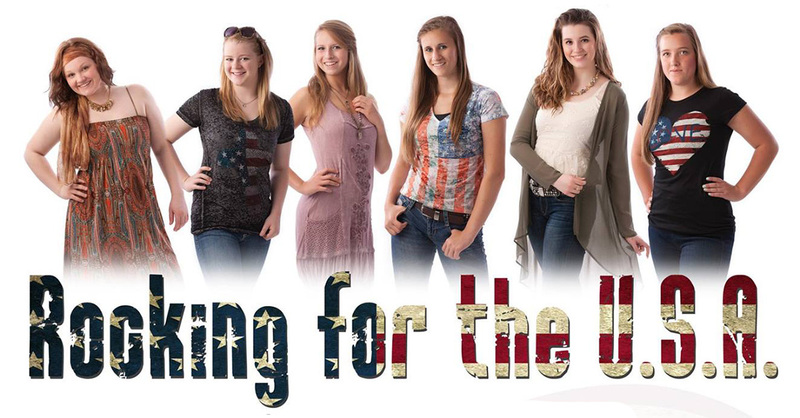 Meet the Mod-Squad, L Boutique’s fashion corps as they model some great Made In U.S.A. apparel for both summer and fall from L Boutique Studio. Guys AND gals of ALL AGES will love Stronger than the Story, a fresh, young Rock Band from Central Wisconsin. PLUS, several gift baskets for raffles. Tickets for this “rocking” event are $7.00 in advance and $10.00 at the door and are now available at Trig’s on 17th Avenue —- right across from The Plaza where the event will take place in The Crystal Ballroom. See an interview with Laura J about the Rocking for the USA event on News Channel Seven.